The focus toward more energy efficiency in all aspects of life is important, as is the debate about the best steps to get to that point. One of the key areas is buildings, where both construction and usage have to be carefully planned and monitored. 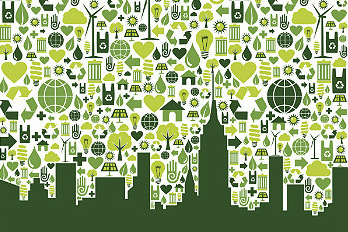 Energy efficiency is a journey, and we cannot take our foot off the gas pedal, lest we drive into major power wastage. The latest energy efficiency legislation — The Energy Efficiency Improvement Act, H.R. 2126 — that has recently been approved by the U.S. House of Representatives is a significant step forward. This energy initiative seeks to amend existing federal laws and improve the energy-efficiency standards of commercial office buildings. Along with these, there are also specific efforts to increase and improve energy efficiency in the federal government as well as the various appliances that we use extensively every day. The process begins with benchmarking commercial buildings through the "Tenant Star" program. This major move is slated to yield major energy savings figures by 2030, roughly $640 million. The first focus is obviously to reduce greenhouse gas emissions, but the bonus will be in the form of new jobs and more per capita savings. New and improved building-energy codes will come into play with this voluntary and market-based program, which will create basic guidelines for smarter energy use. These could be followed by builders, contractors and owners to improve the energy-efficiency standards of their buildings. Though it has a bit of a passive voice at the moment, this law would pave the way for a more sustainable and aggressive approach to curb wastage and meet energy requirements better, without relying on strict government mandates and taxpayers' money. This approach has to be cost-effective and well designed so that both energy bills and consumption load can be significantly reduced. According to the Real Estate Roundtable, this is a smart and no-nonsense bill that will appeal to commercial landlords and builders to lessen their carbon footprints and their demands on the power grid. But what they are more excited about is the oncoming wave of innovations for modern buildings that will completely change the way commercial real estate works. Smarter use of technology to build and maintain, to regulate usage within the buildings and to ensure leaner operations will all combine to enhance energy security many times over. Energy consumption in buildings accounts for almost two-thirds of the demand for electricity and almost one-third of energy consumption across the country. With these new initiatives for buildings and their cost-effective measures, almost 30-40 percent energy savings can be enjoyed right at the time of construction. Through this voluntary certification program, building owners and tenants can opt for efficiency benchmarking after the construction phase. Upgrades will be encouraged in areas like HVAC, power, water heaters and lighting along with other specific units for various zones under extreme weather conditions. There will be more stringent rules as well as recognition to support these in the future, similar to the tax breaks consumers receive for making homes more energy efficient.